A project that has been developed over several years where the Company has kept pursuing their goal to decrease environmental impact of certain hazardous chemistries while achieving advantages in mechanical and processing properties in a cost efficient way. The developed family of products have shown to be fully functional replacements to endocrine disrupting and persistent conventional technology [halogenated flame retardants] that have a significant impact to the eco system. 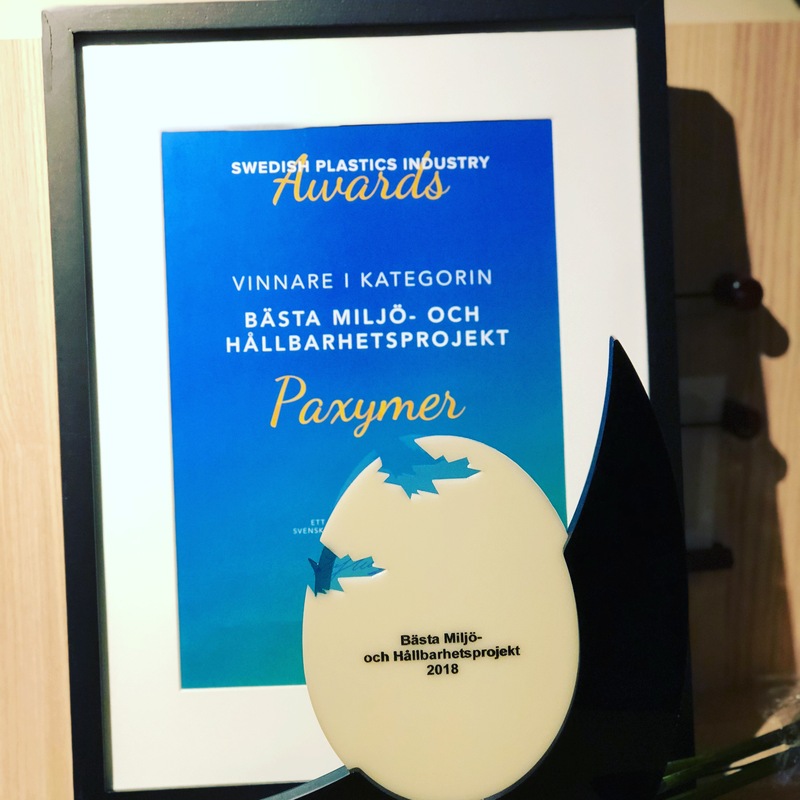 Amit Paul, Managing director of Paxymer was at the Swedish Plastics Industry Awards and received the price. Paxymer recently returned from the US were they have been giving a lecture tour on their synergistic flame retardant products. “Our new patent and system has received a lot of interest globally. The growth trends in the market are clear, it will be interesting to see where the next few years will leave us” Says Amit Paul MD of Paxymer.